Cleaves Temple Christian Methodist Episcopal (CME) Church was established in 1920. Moving into their building at 2431 Decatur Street in 1924, the church has been deeply entwined in North Omaha history since. Today, Cleaves Temple is one of the oldest Black churches in Omaha. This is a circa 1940 pic of Cleaves Temple CME at N. 26th and Decatur Streets. Cleaves Temple is almost 100 years old. Their denomination, the Christian Methodist Episcopal church, was founded in 1870 by former slaves in Tennessee, and was originally called the Colored Methodist Episcopal church. The denomination tried starting in Omaha 30 years before Cleaves Temple was started. In 1890, a church starter for the Colored Methodist Episcopal Church from Kansas, Dr. W. Johnson, held a series of revivals in Omaha. 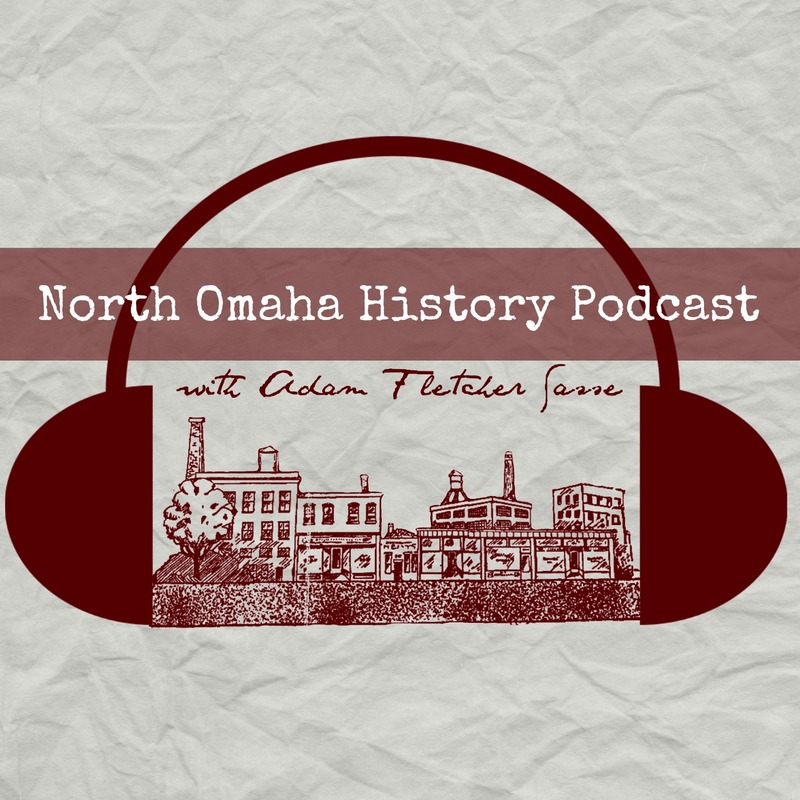 He aimed to work with Omaha’s Women’s Christian Temperance Union to establish a church. By 1893 the newspaper announced a funeral at the Colored Methodist Episcopal Church in Omaha. Located at North 22nd and Grant Streets, it stayed in this part of the Near North Side for an around 15 years. In addition to services in the Near North Side, Omaha’s CME church held revivals in South Omaha to serve African Americans who lived there. In 1899, Rev. Lena Mason (1864-1924) preached for the church at the services held at South 25th and S Streets. Rev. Mason was a revolutionary for her times, since she was a woman, and hadn’t attended divinity school. Instead, she became licensed in the African Methodist Episcopal Church and simply preached around the country to willing audiences. Her career spanned decades, and she returned to Omaha more than once. This is the September 10, 1910 heading for an article about Rev. Dr. William N. Smith, leader of the Alabama Colored Methodist Episcopal Church. He was a refugee to Omaha trying to escape a racist white mob. In 1910, the newspaper reported that Rev. Dr. William N. Smith, the former leader of the Alabama C.M.E. church, came to Omaha. Apparently, in September of that year his four sons were murdered by a white mob in Tuscaloosa, and notices were posted throughout the Black neighborhood threatening his life specifically. Dr. Smith immediately abandoned his 450-acre farm and hundreds of 50 hogs, 12 horses, 18 mules and 2 cows, along with a $2,000 house, and took a train to Omaha. I haven’t been able to find out what happened to Rev. Dr. Smith. Cleaves Temple was founded in 1920 by Rev. E. L. Hallis. In 1922, Rev. Hallis marched his members to their new building at North 26th and Decatur Streets in the Near North Side neighborhood and held their first services there. Named in honor of Bishop Nelson Calsewell Cleaves (1865-1930), the congregation bought the former Norwegian-Danish Methodist Episcopal Church, which was built in 1920. Bishop N. C. Cleaves, D.D. (1865-1930), was a leader in the Colored Methodist Episcopal Church and is the namesake of the Cleaves Temple C.M.E. Church. Rev. J. S. Blaine was the second minister of the new building, assuming leadership in 1924. For their first church fair, which was like a revival, Cleaves Temple held a 5-day event from July 6 to 11 at the church grounds featuring music by For their first church fair, which was a revival, Cleaves Temple held a 5-day event from July 6 to 11 at the church grounds featuring music by Josiah Waddle’s forty-piece women’s band for the entire event during a special event every evening. In 1931, the Omaha World-Herald reported that the Norwegian-Danish Methodist Church sued Cleaves Temple. Apparently, Cleaves bought the church for $10,000 to be paid in one hundred dollar monthly installments. The suit charged that Cleaves had only paid $262. In 1941, the Norwegian-Danish Methodist Episcopal Church signed over the title to the church building where Cleaves is still located today. The Goodwill Spring Musical Choirs in 1938. Founded by L. L. McVay, the spring extravaganza was interdenominational, and was presented at the Omaha Civic Auditorium. Methodists and Baptists from 10 churches participated. Along with regular services, socials and bible study at the church, Cleaves Temple had several activities that grew the congregation. Regular features at Cleaves Temple over the decades include annual Usher’s Day celebrations and noted choirs. Children’s Day was also celebrated for several years. During the 1930s, Cleaves Temple began regularly joining with St. John’s A.M.E., Bethel A.M.E. and Clare Methodist Episcopal Church to celebrate Union Services. Events were held at Cleaves Temple as well as the other three churches. This was also the founding era of the Goodwill Spring Musical Choirs, which included Cleaves Temple and several other congregations. In 1935, the church hosted the 53th annual gathering of the Kansas and Missouri Conference of the Colored Methodist Episcopal Church. This was the first time Cleaves hosted the conference meetings; they did it again many times over the decades after that, as recently as 2005. In the 1950s and 60s, the church was heavily involved in Omaha’s Civil Rights movement. Hosting regularly meetings, training events and other outreach the congregation and Rev. Kelsey A. Jones were particularly involved in the 4CL. In 1970, the congregation celebrated the installation of a new Hammond organ, and men’s group held the first of several Soul Dinners to build community within the church. In 1995, the congregation celebrated its 75th anniversary at the former Knights of Pythias Hall at North 24th and Charles Streets. This 1970 ad is for a Soul Dinner held at Cleaves Temple CME. Rev. A. Sims was the first pastor of the congregation, and was appointed by Bishop N. C. Cleaves himself. After him was Rev. S. M. Graves, then Rev. E. L. Hallis and then Rev. J. S. Blaine in the mid- to late 1920s. Rev. O. A. Calhoun presided over the church in the early 1930s, and Rev. L. A. Story in the late 1930s and into the 40s; Rev. F.C. Williams in the 1940s, along with Rev. E. V. Wades, Rev. T. J. Douglas, Rev. E. P. Raines and Rev. C. P. Raines. The 1950s were covered by Rev. W. A. Miller. In the early 1960s, Rev. Charles Shyne, Jr. served the church; Rev. Kelsey A. Jones was minister in the late 1960s. In the early 1970s, Rev. R. D. Jackson came to Omaha from Chicago, and in the mid-1970s Rev. Jacob C. Barr led the church. Rev. Sterling O. Littlejohn served the congregation in the 1990s. Rev. Larry Brown was the minister in the early 2000s, along with Rev. Norman Ott. Pastor T. Marcellus Thomas was the minister in 2010. Currently, Pastor Paul W. Gunter serves Cleaves Temple CME. The historic parsonage for the church was located at 1715 North 25th Street; today it is on Redick Avenue. Located at 2431 Decatur Street, the Cleaves congregation continues today. The church is not recognized for its history or historical contributions to the community though, including no listing on the National Register of Historic Places or designation as an official Omaha Landmark by the City of Omaha Landmark Heritage Preservation Commission. “History in Hannibal: Born of a war over slavery, Lena Mason rises to evangelistic status” by Mary Lou Montgomery on June 27, 2015 for the Hannibal Courier-Post. This is a picture of parishioners of the Norwegian-Danish Evangelical Lutheran Church was built at N. 26th and Hamilton in North Omaha. Notice the sign behind them in Norwegian, and the vicar cut off on the right side. This building is now Cleaves Temple.